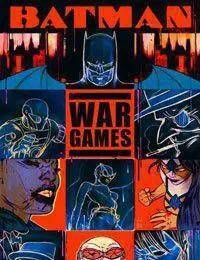 The opening act of 2004s hit crossover starring Gotham Citys heroes can be found in BATMAN: WAR GAMES ACT ONE featuring an all-new cover by Eisner Award-winning artist James Jean. A clash between Gothams underworld families erupts into a wave of chaos that engulfs the city. Batman must use every available asset - Oracle, Batgirl, Nightwing, Orpheus, Onyx and Tarantula - to preserve life and contain the chaos!